East London, 1888-a city apart. A place of shadow and light where thieves, whores, and dreamers mingle, where children play in the cobbled streets by day and a killer stalks at night, where bright hopes meet the darkest truths. Here, by the whispering waters of the Thames, Fiona Finnegan, a worker in a tea factory, hopes to own a shop one day, together with her lifelong love, Joe Bristow, a costermonger's son. With nothing but their faith in each other to spur them on, Fiona and Joe struggle, save, and sacrifice to achieve their dreams. 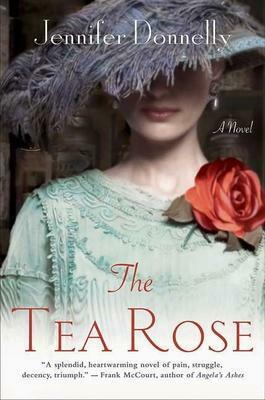 "Full of warmth and rich period detail, "The Tea Rose" begs for a comfy, overstuffed chair and plenty of time to keep turning those pages." "-Dallas Morning News"
"Steeped in melodrama, revenge, and a maddeningly star-crossed romance...a fine yarn." -"People"